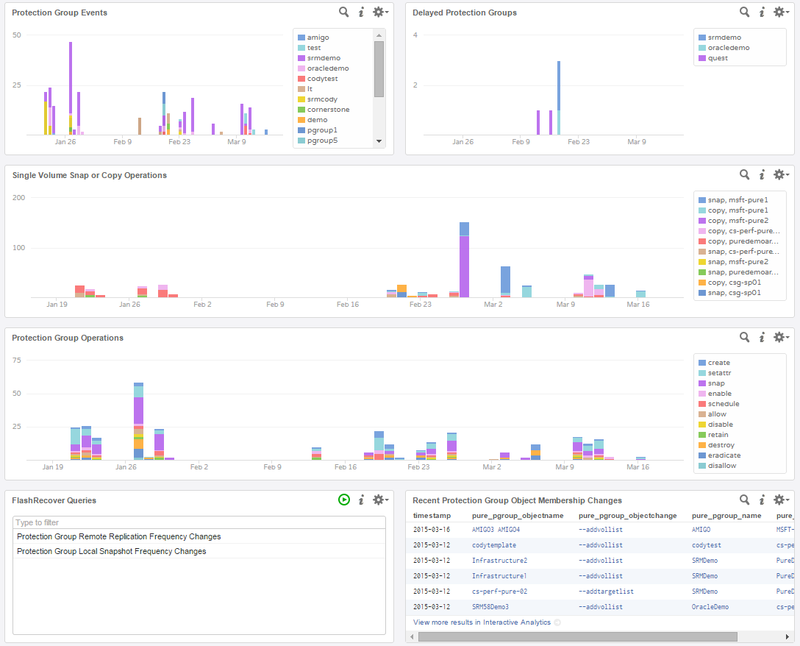 VMware vRealize Log Insight is a product I have been quite fond of since it first came out–I liked it for a variety of reasons–one is the simplicity of use. 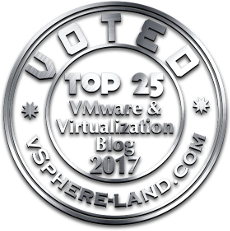 As far as VMware’s entire management suite, it is the easiest to install/configure and understand how to use. You can really become an accomplished user in a day. 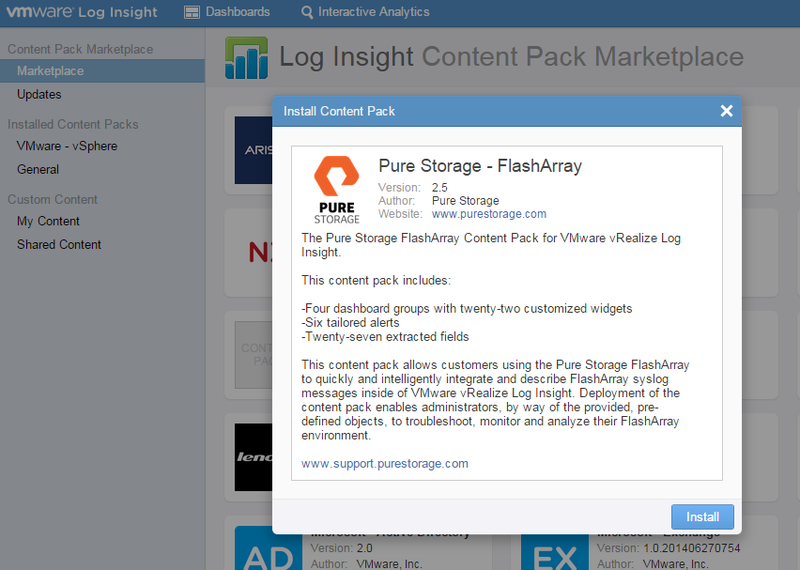 Anyways, I finally got around to updating the Pure Storage FlashArray Content Pack to expand support for version 2.5 and also leverage some new functionality from Purity syslog messages. 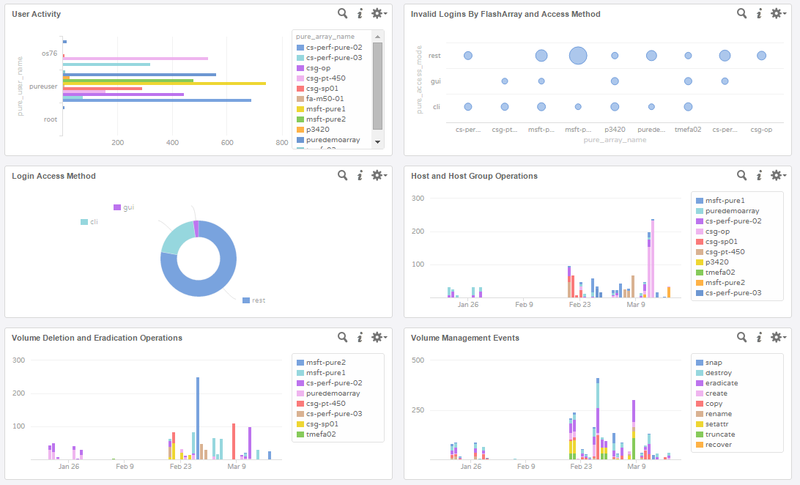 Also, one of the cool new features of Log Insight 2.5 is the ability to edit the dashboard widgets in-place. This saves a lot of time when you want to make a change to the underlying query–this also makes the content packs (once imported into user space) much easier to alter if you so choose. Purity 4.x. 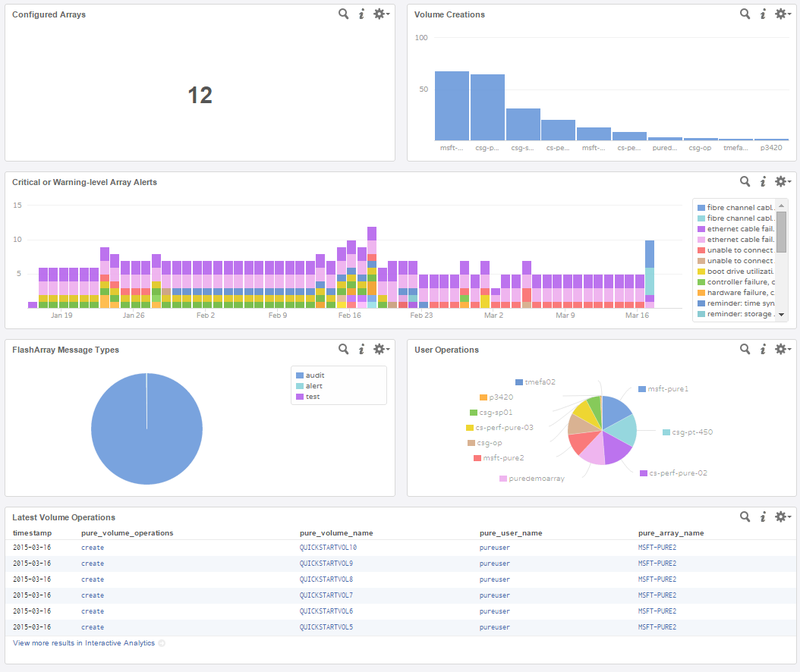 Some of the new auditing information in 4.1 is leveraged though, so if you are not running Purity 4.1 or later, some of the Auditing dashboards widgets will not populate. We still support this content pack with 4.0 though. I ran into an issue with the content pack on the following extracted fields because a user account that was connecting had a hyphen.